Working in accordance with customer design specifications, our installation and commissioning engineers will deliver an electrical refrigeration project from design through to completion. 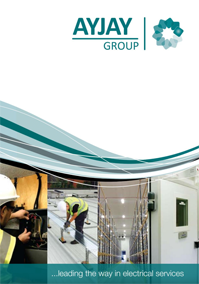 Ayjay Group act independently as a main contractor, or work in conjunction with other major refrigeration, design, build and management contractors. Working alongside well-known Refrigeration & Facilities Contractors in the UK, offering our technical skills and niche electrical expertise. Ayjay Group also provide manufacturers with electrical maintenance support to fault find and rectify faults in refrigeration display cases. Our engineers have service knowledge across all manufacturers’ products. This support is 24/7 with a dedicated operative appointed to each individual customer. Flexible and dedicated approach working alongside the customer to meet their needs. Delivering an electrical solution for every refrigeration project.